Since 2007, Sonja and Alex, a German couple, have been managing the Beach Crab Resort with passion and devotion. 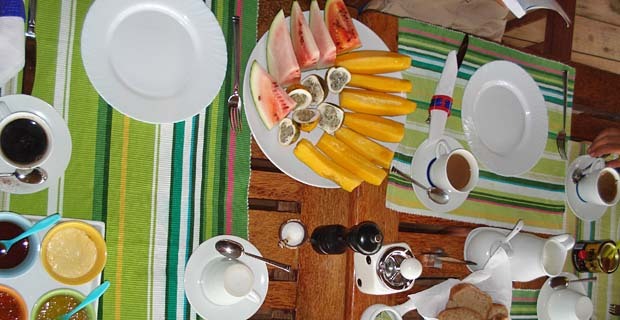 The simple but very cosy resort is set on a 5 hectare property on the white sandy beach of Ushongo. 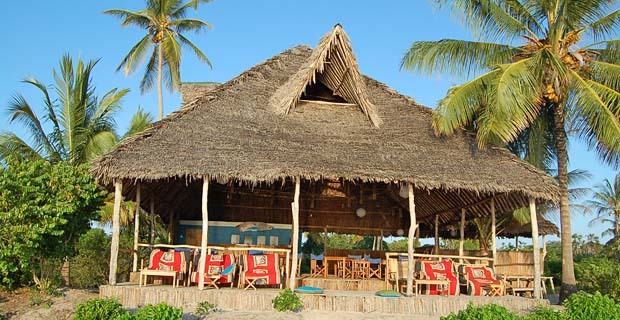 The Beach Crab Resort is situated approximately 10 km south of the small fishing village of Pangani and is surrounded by huge sisal plantations. The nearest town is 65 km away and is called Tanga. 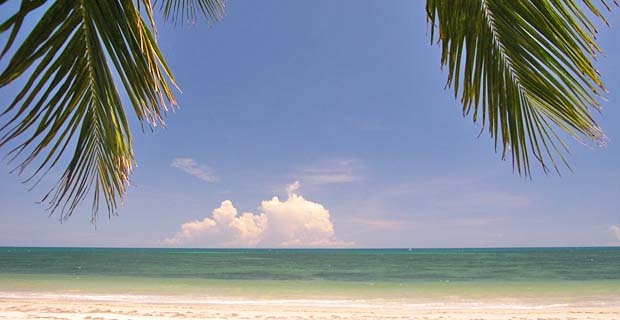 The stunning beaches around Pangani are still considered as insider tips in Northern Tanzania and only a few tourists find their way here. Let your eyes wander across the Indian Ocean while relaxing in the spacious open restaurant and bar area. Freshly prepared national and international dishes are served here. Furthermore, a beach volleyball court, pool billiard, table football and darts are available. 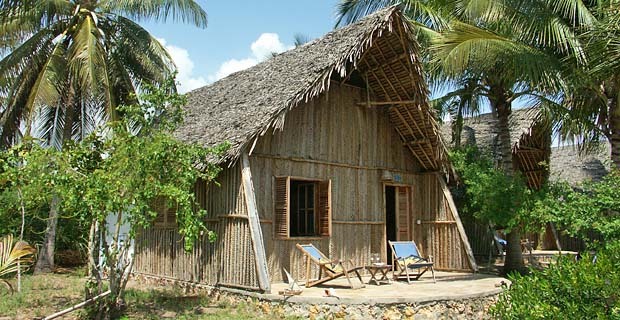 6 modern and comfortable bungalows with traditional walls and ceilings made of coconut leaves are equipped with a private bathroom with shower and toilet, ceiling fan, mosquito net, sitting areas and a safe. Maximum 2 extra beds for families can be put into the bungalows on request. 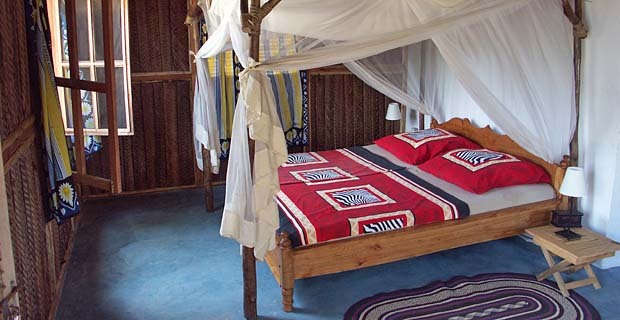 Furthermore, permanent tents with communal ablutions as well as camp sites are also available at the resort. Mountain bikes can be hired for exploring the surroundings. 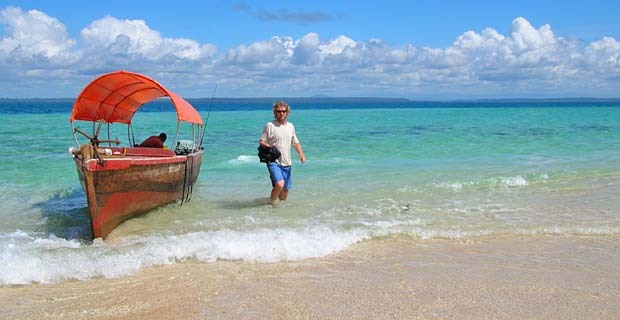 Diving and snorkelling excursions with local fishing boats are on offer and equipment can be hired. Windsurfing is also available.